These plates, bowls, dishes and vessels would create Thanksgiving table settings guaranteed to impress the relatives. 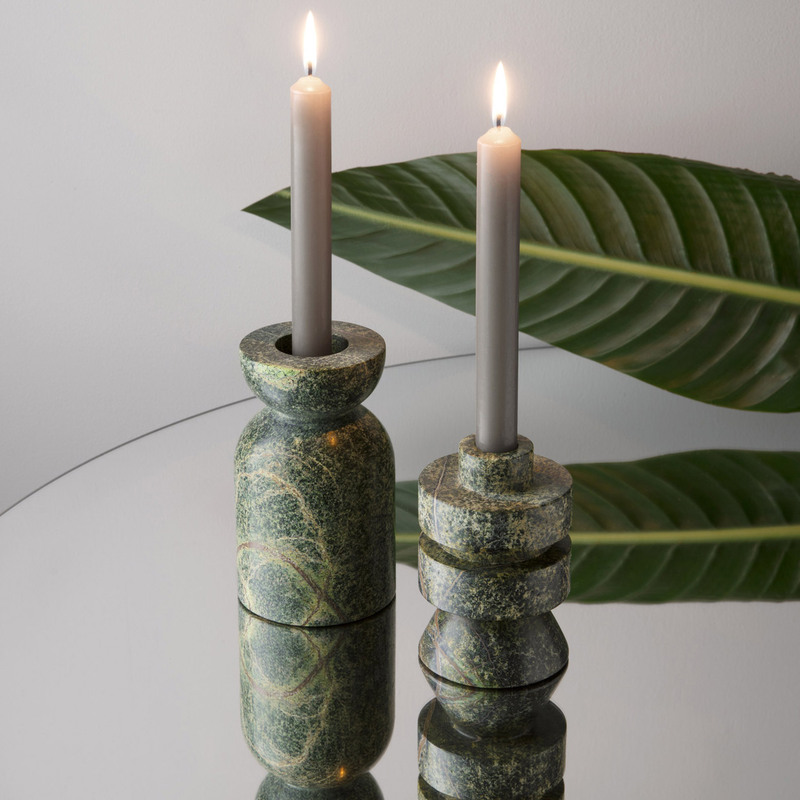 This collection of candle holders and serving platters by Tom Dixon are made from green forest marble sourced from India. It includes two different sizes of stackable candleholders, three different shaped chopping boards and serving platters with grooved surfaces, and a playful dumbbell design – described by the studio as “architecture for your dining table”. Tokyo-based designer Kosuke Araki created this range of tableware from recycled food waste, to demonstrate the alternatives to throwing away leftovers. 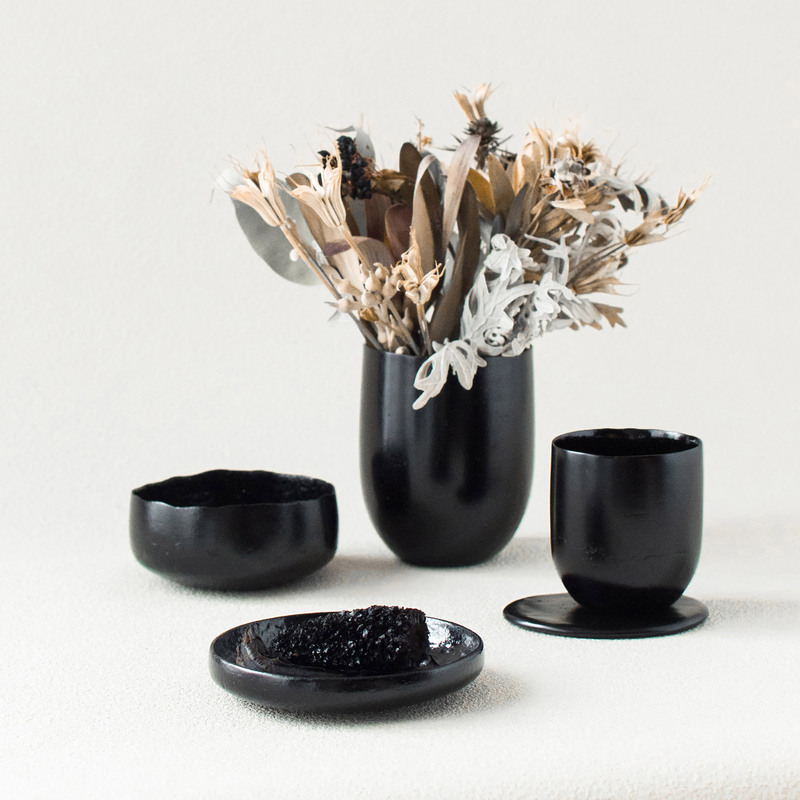 The Anima collection features a series of cups, plates and bowls, which Araki made by combining carbonised vegetable waste and “animal glue”, from the bones and skin of animal offcuts. The Design Academy Eindhoven graduate was concerned about the environmental impact of the fine-porcelain industry, so embarked on a research project to alternative explore ways of creating the delicate ceramic. 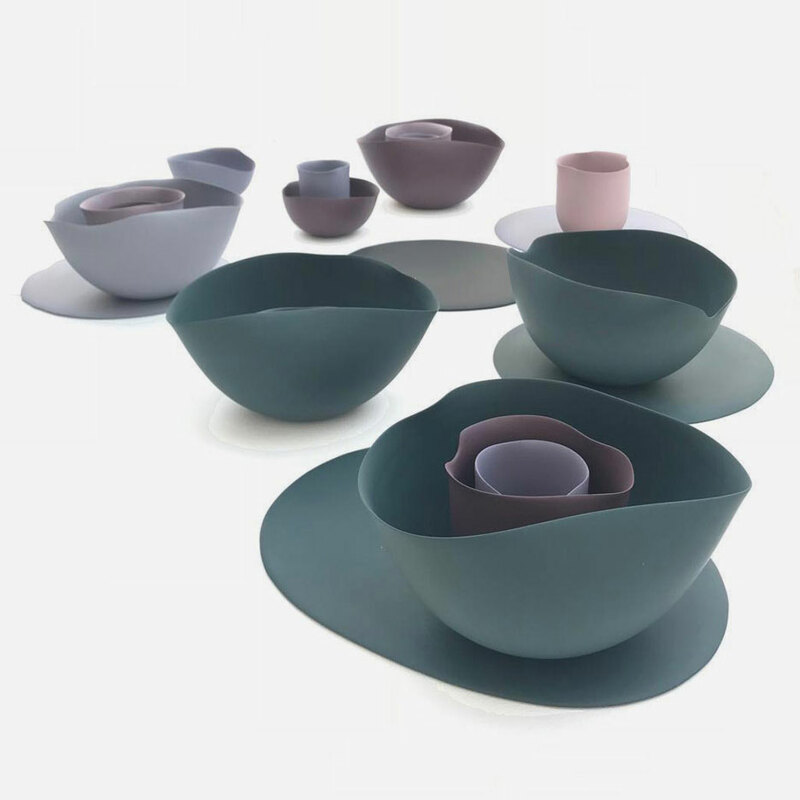 Finished in an array of deep green, purple, and light lilac tones, the tableware emulates some of the colours found in O’Keeffe’s magnified flower works – particularly her painting The Dark Iris. 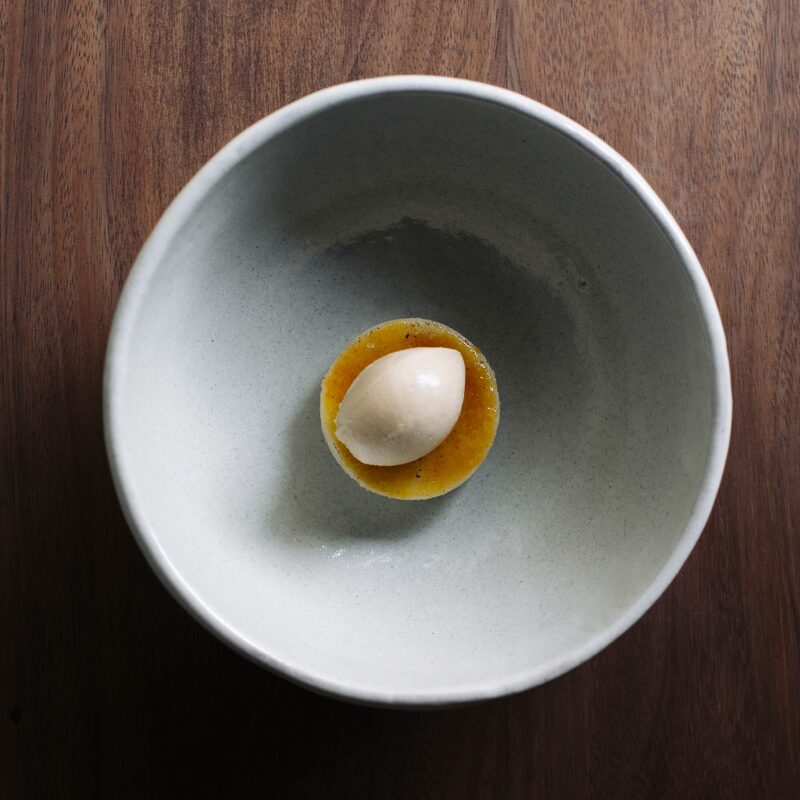 Moisés Hernández designed this set of simple, monochrome tableware for Pujol – the most highly rated restaurant in Mexico. The handmade 20-piece set includes pieces enamelled in either black and white, and that feature details like softly curling handles and spouts, based on pottery from the southwest state of Oaxaca. Designer Alissa Volchkova created this series of bowls by free-pouring porcelain to form irregular blob-like shapes. First, the bowls were slip-cast in moulds to produce smooth shapes. 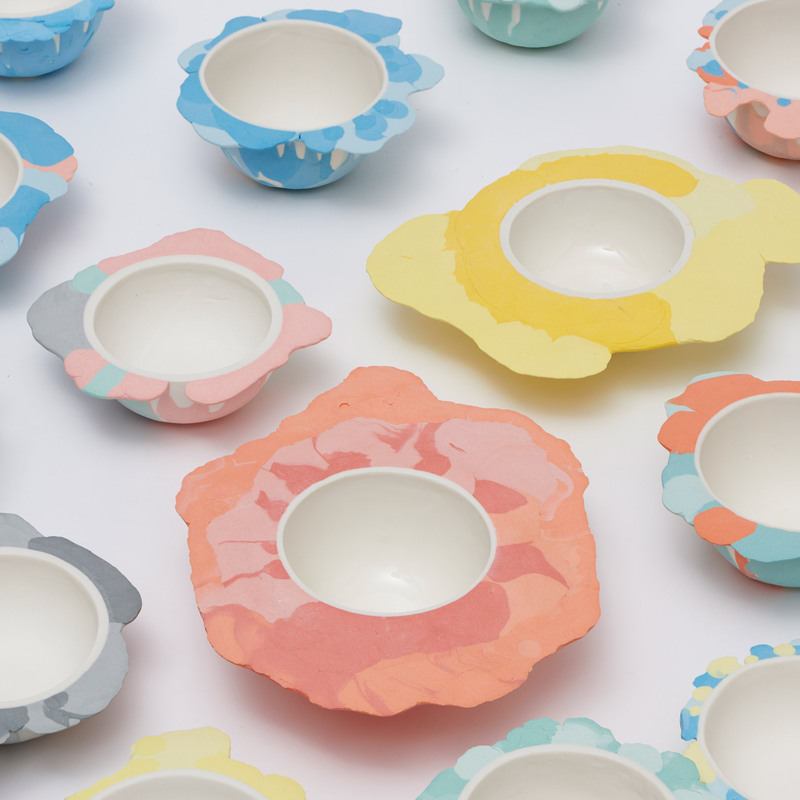 The designer then poured dyed porcelain around the edges, to create the unusual shapes in layers of colours. 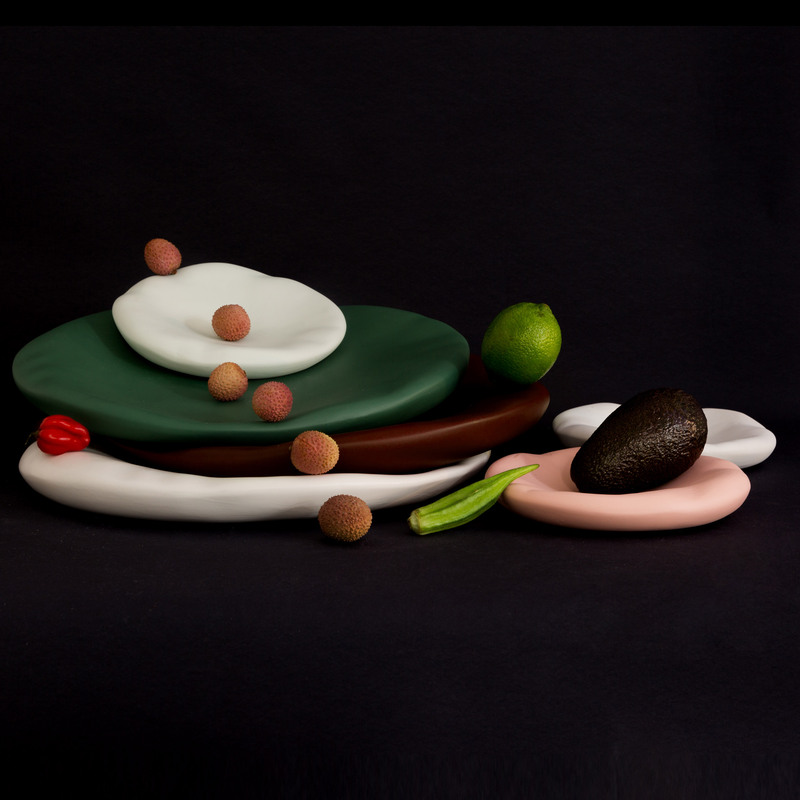 These plates by Constance Guisset have the illusion of being soft and malleable, but they are actually solid ceramic. Designed for French brand Moustache, the collection is based on visual trickery – formed using hand moulding to create the uneven, puffy-looking surfaces. 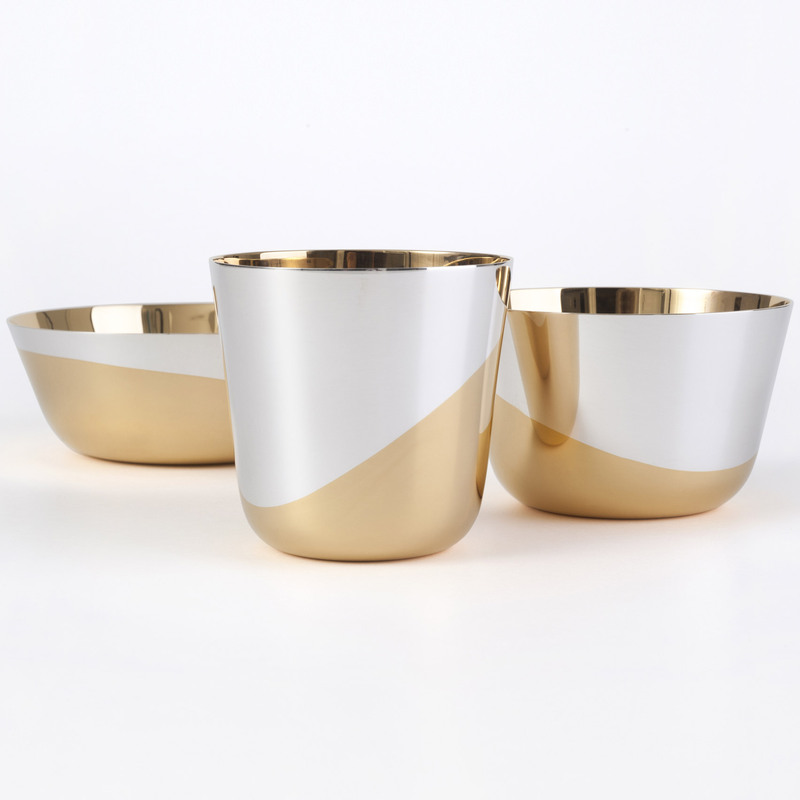 Austrian designer Thomas Feichtner collaborated with silverware manufacturer Jarosinski & Vaugoin to create this set of minimal tableware featuring uneven washes of gold. Available in three different sizes, the pieces are uniform in their appearance except for the varying levels of gold plating. Their patterns are inspired by the wavering level of liquid in a tilted glass. 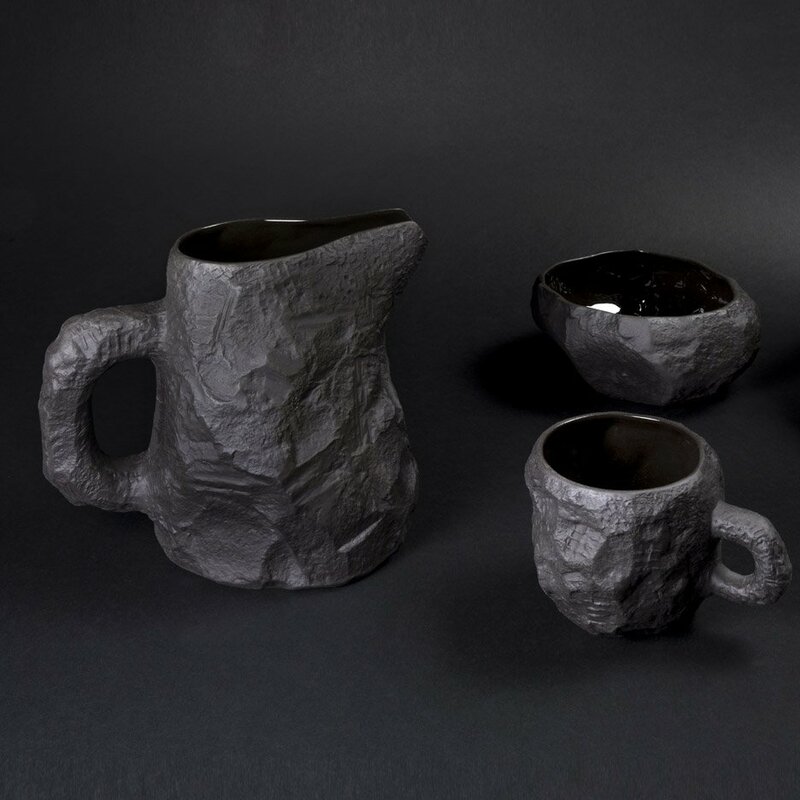 Each of the pieces in this basalt tableware range by British designer Max Lamb was cast in a hand-carved mould, which he chipped and carved from a solid block of plaster using stonemasonry tools. 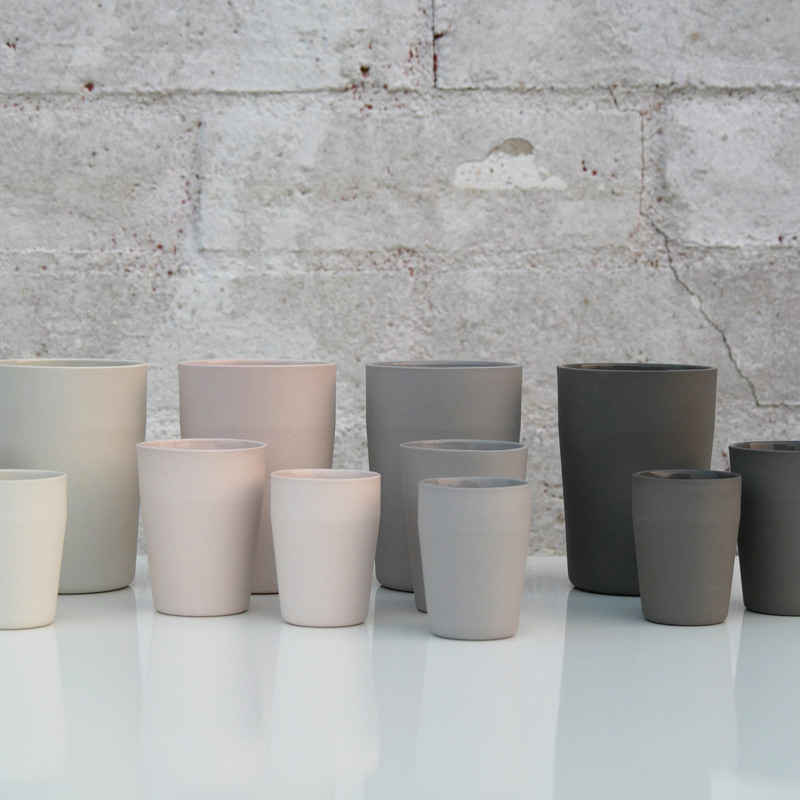 The design were then slip-cast in basalt – a dark-coloured and fine grained volcanic rock – to create the collection for Staffordshire ceramics company 1882 Ltd. 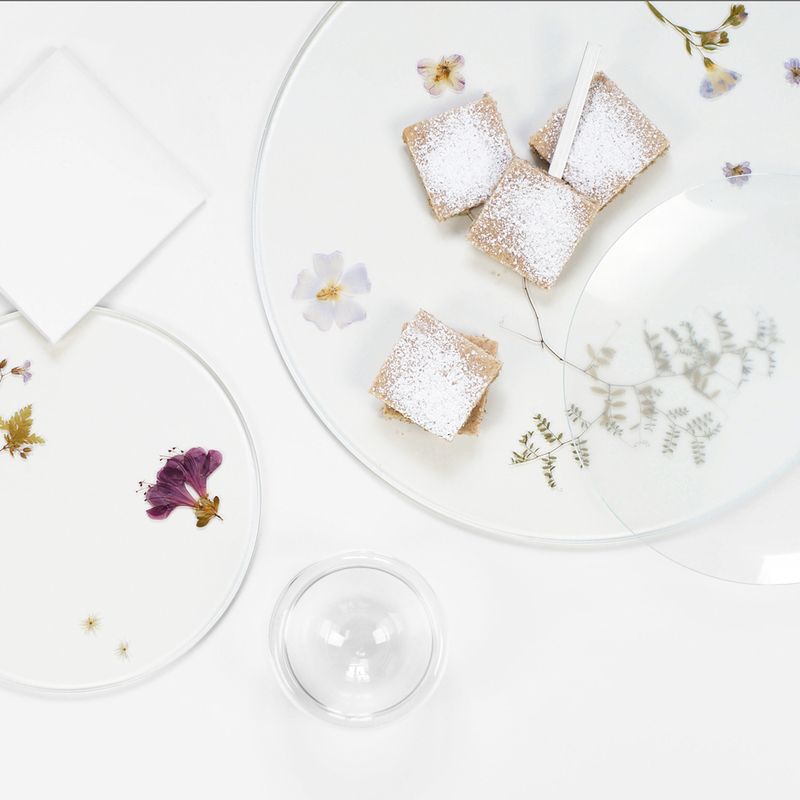 Pressed plants and colourful petals are frozen within these glass plates by German designer Meike Harde. The flora was dried and pressed for three weeks into two-dimensional forms, then sandwiched between two layers of glass and baked in a vacuum oven.